2. Additional Professor - A medical qualification included in the I or II schedule or part II of the third schedule to the Indian medical council Act of 1956(Persons possessing qualifications included in part II of third schedule should also fulfill the condition specified in section 13(3) of the Act.) 2. A post graduate qualification e.g. MD/MS or a recognized qualification equivalent thereto in the respective discipline/subject. 3. Associate Professor - A medical qualification included in the I or II schedule or part II of the third schedule to the Indian medical council Act of 1956(Persons possessing qualifications included in part II of third schedule should also fulfill the condition specified in section 13(3) of the Act.) 2. A post graduate qualification e.g. MD/MS or a recognized qualification equivalent thereto in the respective discipline/subject. 4. 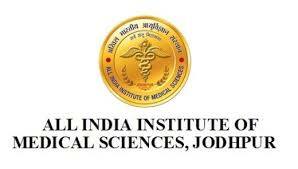 Assistant Professor - A medical qualification included in the I or II schedule or part II of the third schedule to the Indian medical council Act of 1956(Persons possessing qualifications included in part II of third schedule should also fulfill the condition specified in section 13(3) of the Act.) 2. A post graduate qualification e.g. MD/MS or a recognized qualification equivalent thereto in the respective discipline/subject.